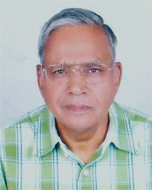 Sumer Chand Tayal is an Independent & Non-Executive Director of Vikas Ecotech Limited. He has rich experience in materials management and has executed various construction and development projects. Earlier, he was associated with the Delhi Development Authority. Having joined the Board in 2006, he advises the company on various projects in the real-estate segment and plays a key role in the execution of new projects of the company. He holds a Bachelor’s degree in Civil Engineering.